All the basic equipment needed to start home brewing 6 bottles of wine & includes a cherry fruit..
All the basic equipment needed to start home brewing 6 bottles of wine & includes a elderflower ..
All the basic equipment needed to start home brewing 6 bottles of wine & includes a peach fruit ..
All the basic equipment needed to start home brewing 6 bottles of wine & includes a strawberry f..
All the basic equipment needed to start making 6 bottle wine kits. 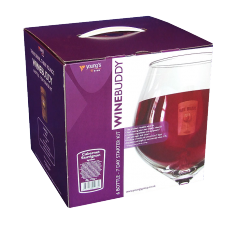 Includes a California Connoisseur.. 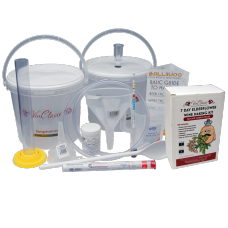 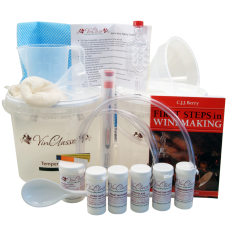 This VinClasse starter kit has all the basic equipment, instructions, recipes and more, all you will.. 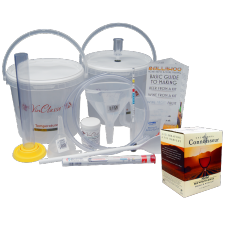 Contains equipment & ingredients to make 6 bottles of Cabernet Sauvignon. (Just add sugar, water, an..